*No Purchase necessary. Ends 3-31-2013. Open to US & Canada residents (excluding Quebec) who are 18+. 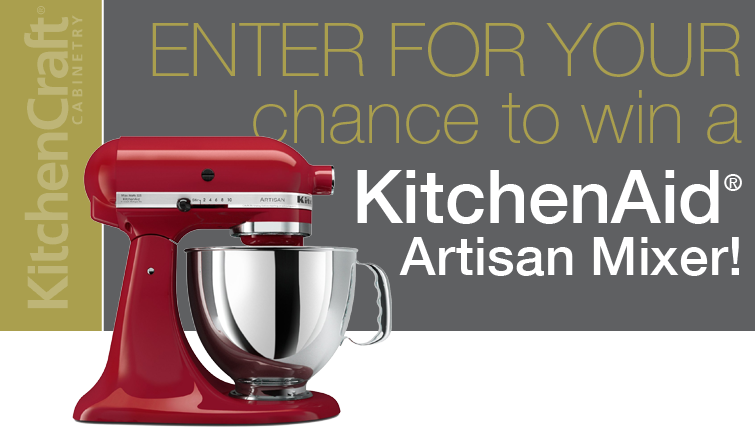 One Grand Prize of a KitchenAid® Artisan Mixer. ARV $400. Skill testing question required for Canada residents. Odds depend on number of entries received. View the Complete Rules. Not associated with Facebook or KitchenAid.